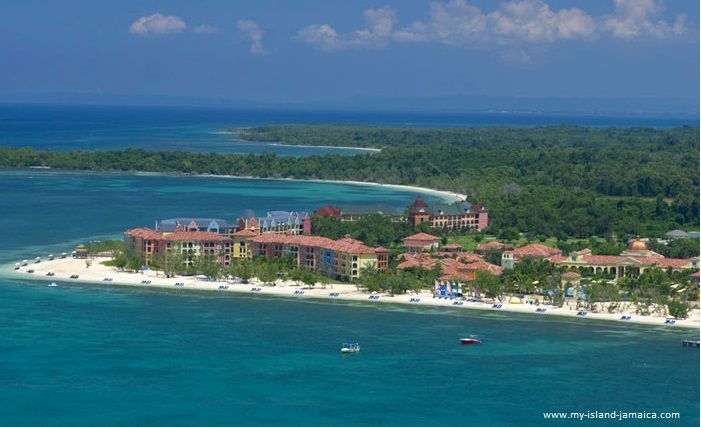 Note: For the article on Sandals WhiteHouse, click here. I'm especially excited to share this rural, yet beautifully tranquil town of Whitehouse with you. Why so? Well, it is essentially my childhood hometown, my family resides not more that 5 miles north of the town center. 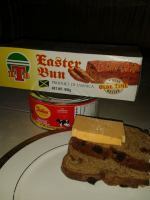 And so I have great memories; from hanging out at Ms Prudence shop after school - waiting on the next taxi to arrive, to getting my hot patty and bread at Seaview Bakery or accompanying my aunts to the market on weekends. But today, I won't talk a lot me. Rather, I'll share with you a bit about the political geography, culture and general visitor information of this bubbling, yet friendly fishing (and rising star) community. Accommodating just under 4,000 residents now, Whitehouse is known traditionally for its vibrant fishing industry. Many businessowners and retailers across Jamaica converge at the Whitehouse beaches to get their fresh seafood supply on a weekly basis. But that is fast changing (or should I say improving). Yes, the WhiteHouse offering is more diversified now... The town has benefited greatly from some major investments in its tourist industry and is reaping great dividends. Thanks to the new sandals Whitehouse (pictured above)! 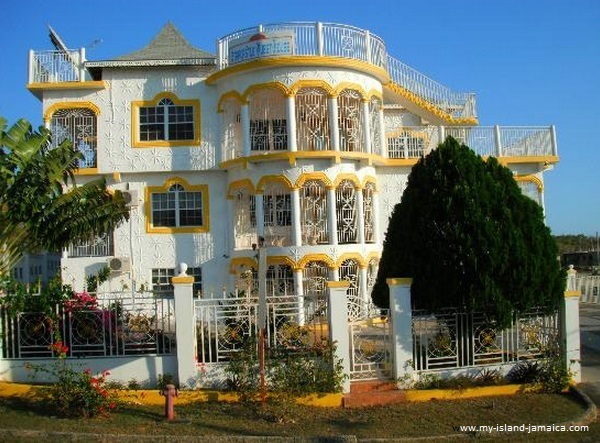 Since its opening to the market, the hotel has brought in thousands of fun-loving Jamaican enthusiast to this once, virtually unknown area of Jamaica - at least to the foreign tourists. For those interested in the technical specifications, Whitehouse is actually located SouthWest of Jamaica (on the seacoast) at 18.08°N 77.97°W. 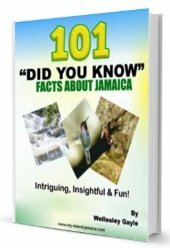 And by the way, for those coming in from overseas, the nearest commercial air or cruise ship port is in Montego Bay; which is about 1.5 hours travelling time by car (or bus). 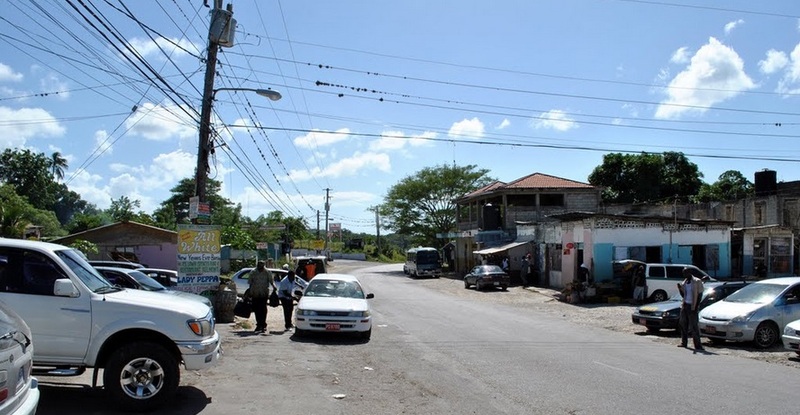 Other notable townships in parish of Westmoreland are Negril (yes Negril), Grange Hill, Darliston and the parish capital, Savannah-La-Mar. So let me answer by saying that it is highly typical of the Jamaican climate... no different. Read about the Jamaica climate here. I did say that fishing is the major economy driver in the area right? Yes, and so you'd expect to see lots of it! 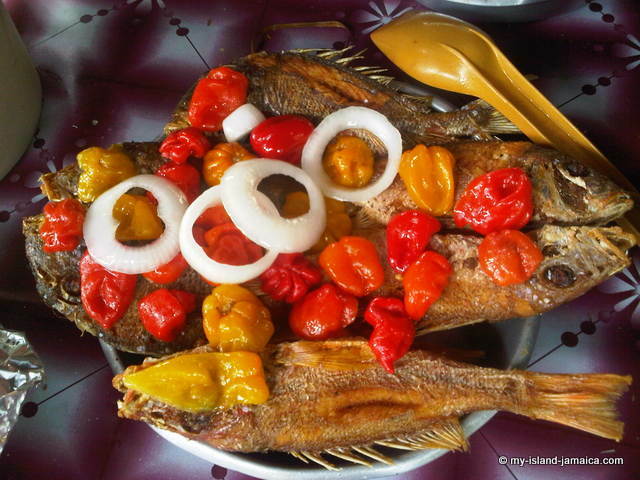 Especially the fried fish! In fact many of the fish and bammy vendors who operates their business at the busy 'Border' area are , either from, or gets their supply at Whitehouse. 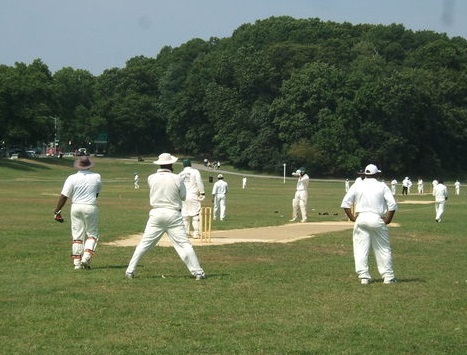 The community is also known for its sporting attainments, especially cricket. The New Hope Primary and Junior High school, for example, has one several national awards for their sporting prowess. Visitors to White House can enjoy the village tour - including the local supermarkets as well as to explore the smaller communities within a 5 mile radius of the area. I know that, for example, the Beeston Spring community tour that features their award winning mento band, the historic Salem Moravian church, bee farm and other important historical sites. As it is today though, most of the visitors to Whitehouse seems to enjoy the experience of the tours and excursions east of the town, starting with the piping hot Fried Fish & Bammy at the famous "Border"! As well as the Catamaran cruises (including sunset cruises) where thumping reggae music and light food and drinks are enjoyed. We already mentioned Sandals Whitehouse All Inclusive Resort? But there is a increasing number of smaller guest houses and villas in the White House are. And there are a lot more options on the South Coast (East) and the Bluefields area (West)! So you see, White house is now not only a small fishing fishing, it truly is a rising star community in the making! Note: Stay tuned, next time, I'll share a bit about the fast rising residential developments (and real estate in general) in the area.